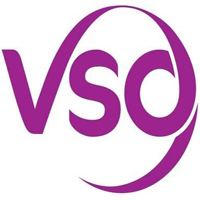 Home / VOLUNTEER / VOLUNTEER OPPORTUNITIES AT VSO TANZANIA: ENVIRONMENTAL ADVISER, CREATIVE SERVICE ADVISER, BUSINESS AND FINANCIAL ADVISER ARE WANTED. VOLUNTEER OPPORTUNITIES AT VSO TANZANIA: ENVIRONMENTAL ADVISER, CREATIVE SERVICE ADVISER, BUSINESS AND FINANCIAL ADVISER ARE WANTED. You will be supporting selected Small and Medium Enterprises (SME’s) in developing and / or improving a brand that will stand out in the market. Also developing concepts, graphics and layouts for product illustrations, company logos, product packaging and websites. You will coach various SMEs to grow their enterprises in food processing and natural resource product production. You will establish working relationships with local SMEs through the introduction of SIDO and the field manager and build a mentor-mentee relationship. By utilizing your management skills, SMEs will learn from your business insights in the production and sale of goods. By working with national volunteers, you will be supported in some language and cultural interpretation when fostering relationships with various local SMEs. This role does entail a solid understanding of business fundamentals, as well as some work experience as an entrepreneur or in manufacturing, to properly advise SMEs on the growth of their businesses. You will work with the Project implementing partners to coach local SME's in improving their financial management capacity and their ability to access financing, win contracts, budget, and report financially. This will entail direct interaction with various SMEs that are at the inception or early stages of their operations that will benefit from financial insight to reach the next level of growth. By working with national volunteers, you will be supported in language and cultural interpretation when fostering relationships with various local SMEs.